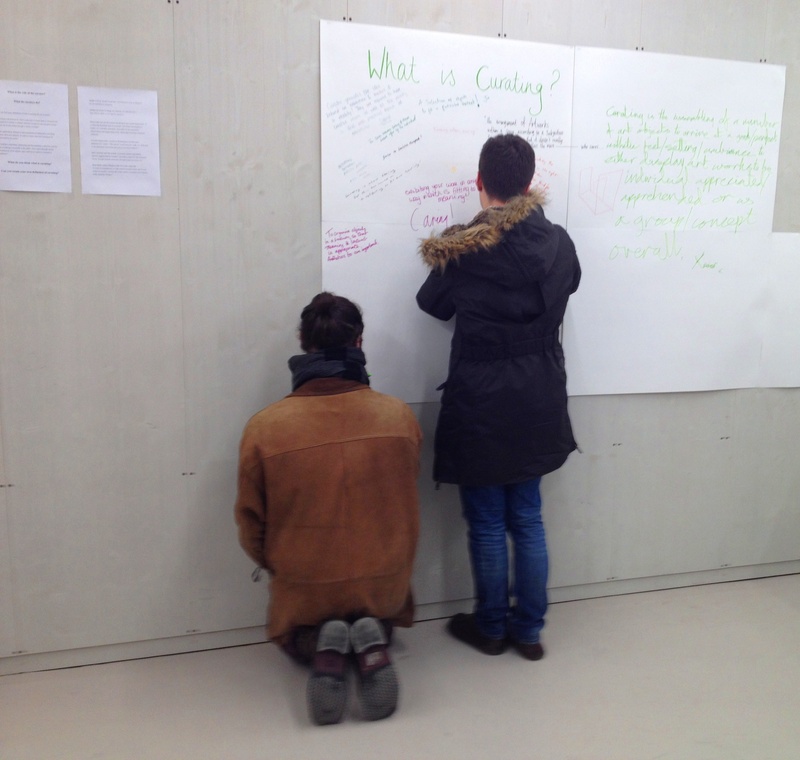 Put a big question board in a room for three hours with a handful of young curators asking incoming people (either experts or not in the art field) to answer a single query, and see what you can gather. 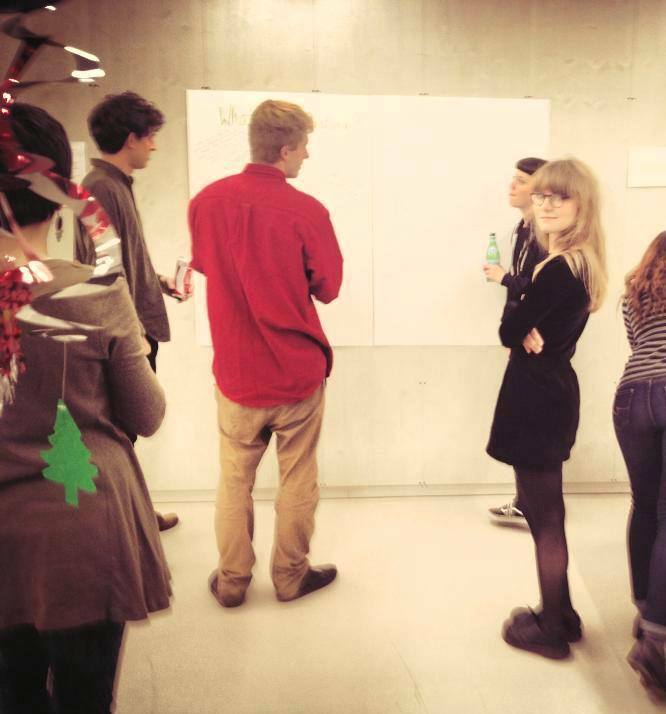 “What is Curating?” was the issue of the evening, in the middle of December, when the Fine Art students exposed their works at the Cass school. A little embarrassment mixed with free wine contributed to some bizarre answers, nervous writings and a couple of sincere “I don’t know”. Some looked for the answer through conversations with us, but we had nothing but our personal opinion. Several people highlighted the importance of the context as the conceptual space in which the chosen objects fit with the actual meaning of an exhibition. Others put their attention on the aesthetic role of selection that the curator has to face, adding that this should be connected with the trends, the market and society’s choices. Many of our visitors were also aware of the function of a curator in a chain of relationships, between gallerists and artists, between artists and audience, between artworks and the exhibition. The most precise ones knew that the term curator comes from the Latin term curare, which means to care. There were no lack of artists on this occasion and a couple of them referred to curators in an angry or reluctant way, calling them ”oppressors”, “often failed artists” and “people that mysteriously appoint something on an agenda”. Moreover, the freedom of the white paper led someone to put their opinion in a drawing: a track in a museum plan, a white cube, some tools that stands for a Greek saying that means “cut and sew” as the method of picking the best parts of reality and creating a new perfect one, the same way the ancient Greek put together the most beautiful elements of nature to create an ideal, objective beauty. So, now, after all, it’s your turn. 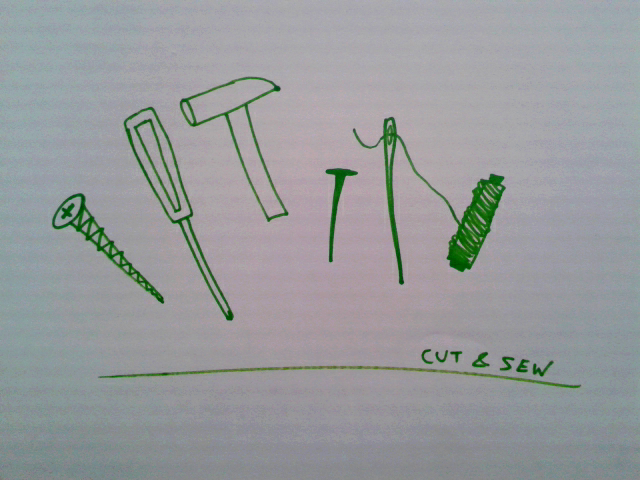 What is Curating?